Ander Herrera has had his say on the topic of his contract extension at Manchester United. The Spaniard’s current deal is all set to expire at the end of the campaign, which will allow him to depart from the Old Trafford outfit as a free agent come summer. This would undoubtedly be a huge blow for interim boss Ole Gunnar Solskjaer if he takes on the permanent managerial role, as Herrera has been an important part of the Norwegian’s midfield trio, alongside Paul Pogba and Nemanja Matic. The 28-year-old was used quite sparingly by Jose Mourinho, but the player’s importance has drastically shot up since the Portuguese tactician’s departure, with his performances improving tremendously in the process. 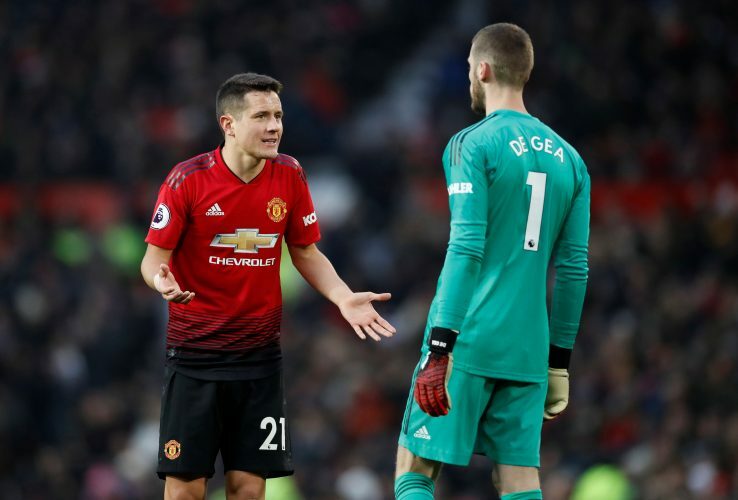 Following the 3-1 win over Arsenal in the FA Cup, wherein Herrera was once again one of the best players on the pitch, the Spanish international discussed the subject of his future in Manchester. Herrera simply dismissed the talk that has been doing the rounds in the media, and instead directed the focus onto Manchester United‘s upcoming games – a move which won the fan-favourite more love from the Red Devils’ supporters. “I’m not going to talk about my contract,” the midfielder stated, per the club’s official website. “We have more important things happening now than my contract so I just try to perform. With the performances he has been putting up, coupled with the passion he regularly displays for Manchester United, many believe there is no player in the current squad who deserves a new deal more that Ander Herrera.